Mezcal is gaining in popularity, here's what you need to know about this unique, smoky spirit. Over the course of the last few years, mezcal, a relative of tequila, has experienced its own sort of a renaissance. As the craft cocktail movement has taken hold, you are more likely to find this smoky spirit on cocktail menus, a variety at the liquor store, and in some cities you may even stumble upon a mezcal bar. This Mexican liquor embodies the craft cocktail movement as it is artfully made in small batches with great attention to quality. For those new to the spirit, mezcal is the overarching name given to liquor distilled from a Mexican agave plant. Mezcal is made from agave plants, primarily near Oaxaca, Mexico. Its relationship to tequila is much like the old phrase “All bourbon is whiskey, but not all whiskey is bourbon”. In this sense, mezcal is to whiskey as tequila is to bourbon. A distinguishing factor of mezcal versus tequila is the ability to use any varietal of agave in its making. Tequila is only allowed to be produced using Blue Weber agave. Many describe mezcal by its smoky flavor, but its sweet vegetal, earthy flavor is equally important to its unique taste. The green, plant flavors of the agave are more prominent than they are in tequila. 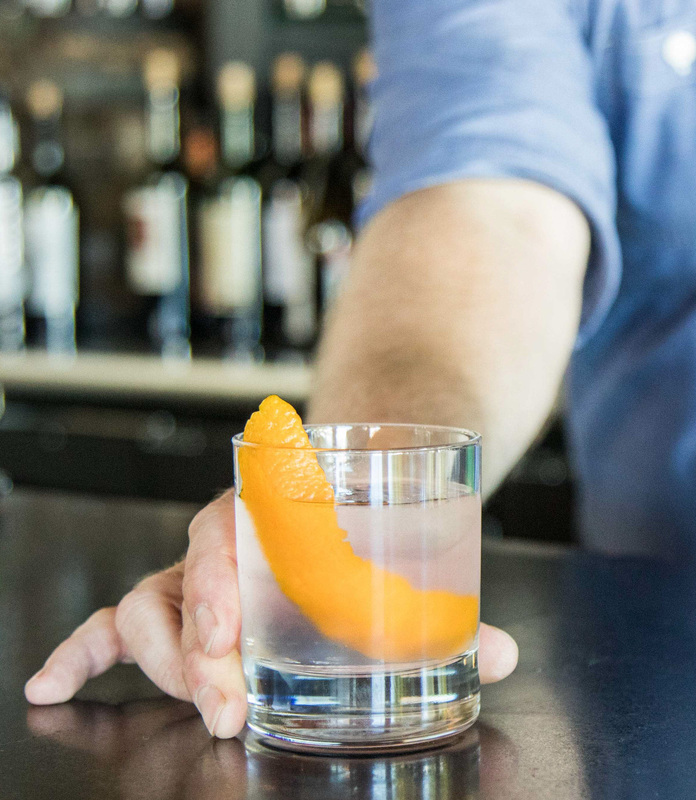 As craft cocktails and artisan ingredients gain in popularity, bartenders are turning to mezcal to add an intriguing dimension to any cocktail. Bartenders also look to mezcal for its variety and opportunities to experiment. Flavors vary in each village with a different recipe and technique. There are many variables in mezcal that affect the prominent tastes. For instance, the native pollinators change the biology of the plant and is a reason for the variation in flavor. The soil itself can also contribute to the agave’s taste. Much like the production of gin, a number of ingredients can be infused during distilling. One variety, called pechuga, uses a combination of wild fruits and a chicken carcass in the still for a savory, umami flavor. If you’re ready to experiment, replacing mezcal with the dominant spirit in a classic cocktail is an ideal place to start. Mezcal has been known to be the perfect addition from everything from an Old Fashioned to a Bloody Mary. Stir with ice and strain into chilled old-fashioned glass. Flame orange twist and add. Serve in an Old-Fashioned Glass.